Meet Miss Kylie Grace. I just can not get over how adorable this sweet little girl is! This sweet little girl is only 2 years old and until a few months ago was a perfectly healthy, normal little girl. Then her parents started to notice that she was having a little trouble with her coordination so they decided she needed to go to the doctor. This is when they got the shock of their life that their beautiful little Kylie Grace had a tennis ball size tumor and cyst on her brainstem. Since then this sweet little girl has undergone surgery and has already had one dose of chemo and even recently was able to go to the zoo! 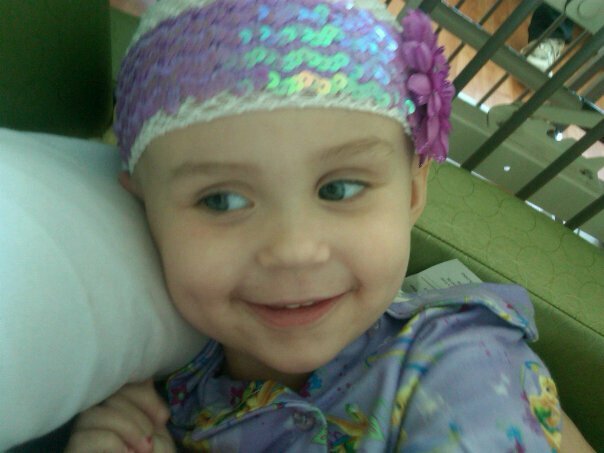 Please pray with me and this family as their little girl fight the fight that no child should ever have to fight! 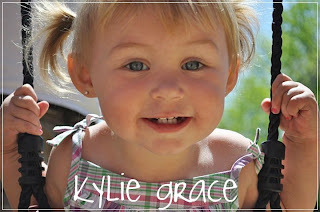 To follow along with how Kylie is doing you can follow her website HERE.